Paige's Page: House-a-Palooza!!! ROYAL PLAYHOUSE. Royal Playhouse. Let me talk about this house a bit. 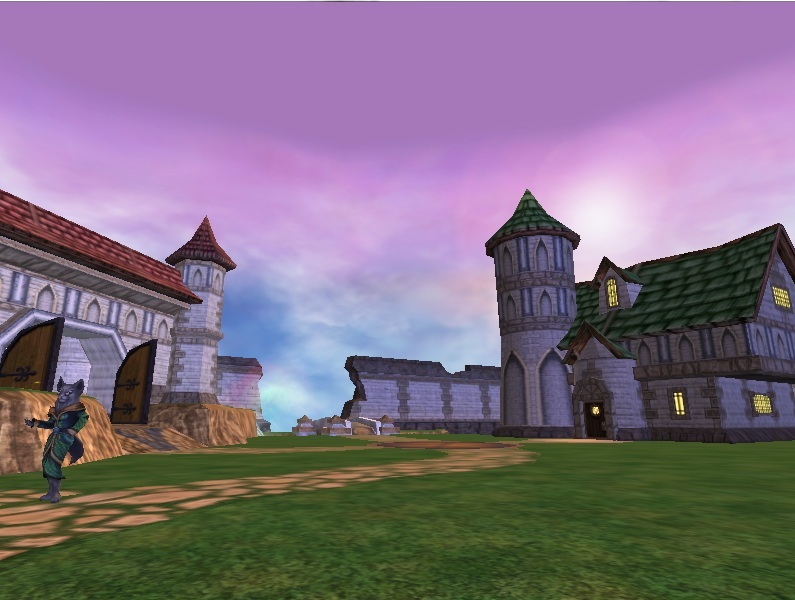 The Wizard City royal playhouse is a fantastic house for those with a big yard , plenty of space for you mounts and pets. There is even a small area in back of house for those who love to have a smaller garden. On the left side of this land area there stands a playhouse which is great for those wizards who want to have that party or a play with a stage in their house or how about a horse stable. ;) There is even a sandy beach and a waterfall! 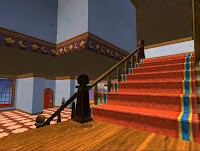 As we move into the house we find nice size rooms that can be for any use, 3 stories tall! Bottom floor has a out cove that can be for anything such as a music room. Second floor is made up of a landing and one big room. perfect for dinner parties and or a kitchen, hint;). 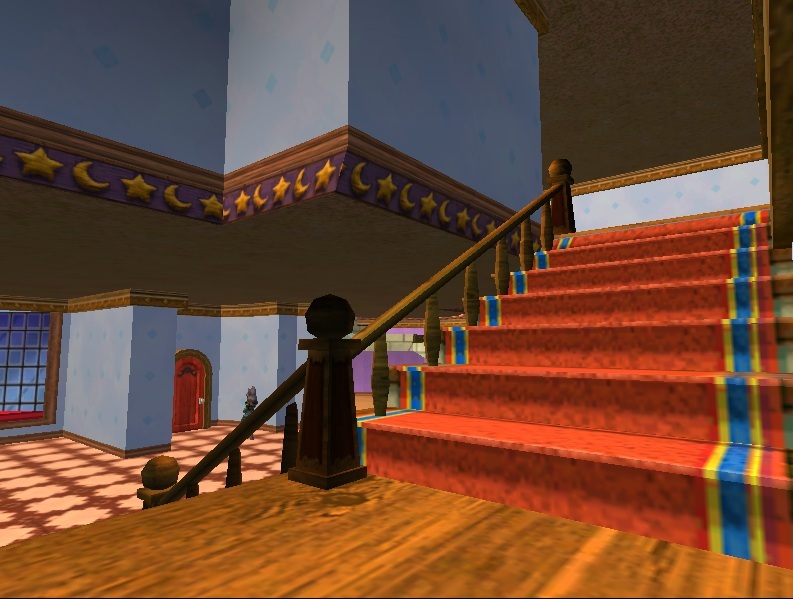 Last but not least we have the top floor small room at the top of spiral stars case. Simply adorable! That's right wizards you can win a ROYAL PLAYHOUSE of your very own right here at Paige's Page. I am giving away 15!!! royal playhouses. How you ask? It's easy this is a random draw starting today August 12th, 2011 to August 23rd, 2011. First drawing will be on August 13th,2011. To enter send a email to Contest@PAIGEMOONSHADE.COM , along with your wizard's in-game name (such as Paige MoonShade) - (or list them all in one email). Do Not send your account name and never ever ever send your password. This is all you need and you will be entered to the random draw. No need to send more than one email your name will just be re-entered into each days drawing. Enter early for more chances to win!! Once you win a prize your name will be removed from drawing list for future drawings for this contest. All winners will be posted in this topic Before 8:00PM central US the day of each drawing and prize sent out. How many drawings per day? August 13th - 2 winners!! August 14th through August 21st- One winner each day. August 22nd - 2 Winners!. All winners will receive their prize code by reply of their email entry. 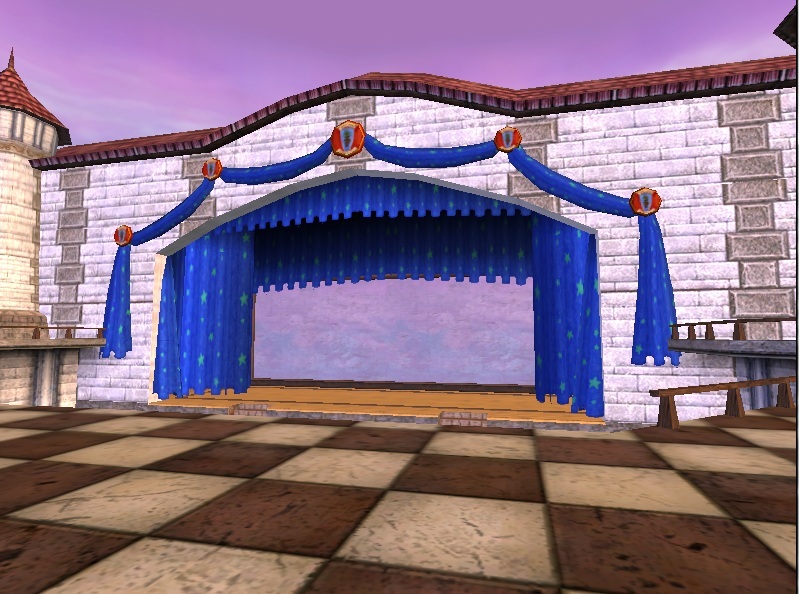 Special thanks to KingsIsle for these wonderful House-a-palooza prizes. I would enter, but i already have one. These prizes come as a code you can put on any wizard you choose. do we give you all our wizards names in the email? How do I e-mail you? I dont have your e-mail? I can find it. I really wanna win this! And guess what? The last drawing day is my BIRTHDAY!!! This would be a great gift if I won. do we have to be level fiftheen to use the house? No the prizes come s a code you can use on any level wizard. SO excited! I was saving up to buy a house, and here I was able to win one! Thank you so much for this opportunity. Now all my coins can go towards decorating!!! tommorow is my birthday i would be so gratful if i won!!!!!!!!!!!!!!!!!!!!!! the drawing before last is on my birthday in the game i look cool but i am poor so i havent got a house it would be awesome if you could give me one thanks even if i dont win it.